Edible wedding favors are always a great idea and we especially love the kind that you can just set in a big basket for guests to grab during the reception. 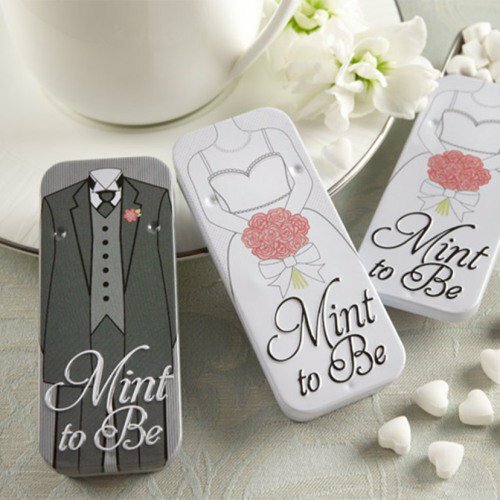 These adorable “mint to be” tins of mints are that kind of favor. No need to assemble anything or place them at each table setting. You can put baskets or buckets of these mint tins at the reception site (or even at the wedding site). And if you’re hosting guests from out of town you can add them to their goodie bags that you leave in their hotel rooms! 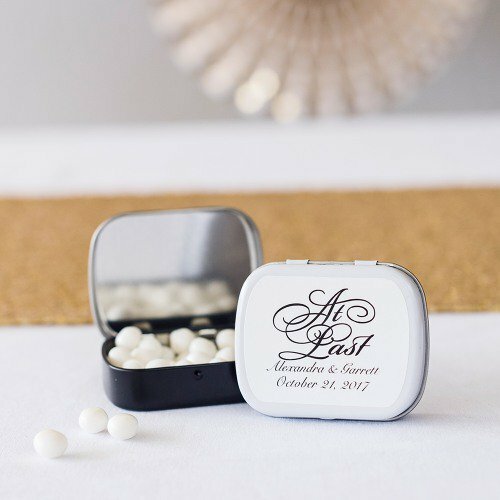 The heart-shaped mints are perfect for your big day! You can find all the product information on these mints here. These little personalized mint tins are that favor.